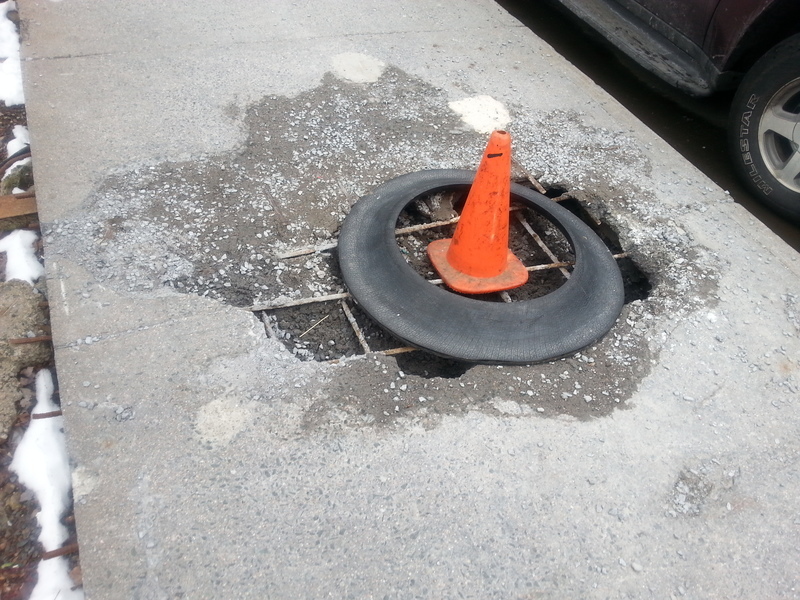 In front of the angry bull saloon located in hartford on Allyn street there is a very large pothole on the sidewalk. Not only is this dangerous for pedestrians walking but to handicapped people in wheelchairs it proves treacherous to get through unscathed. I've noticed throughout the months, that even with all of the foot traffic located in this particular location there has been no safety measures put in place to prevent injury. I believe that with the summer months ahead, and more young people coming to this area it would be beneficial to the City of Hartford to address this issue. Request #85047 was created to attend to this issue. This has become a sinkhole this week. Please consider increasing the time that Morgan Street (both directions) has a green light at Market St. and Main St. Morgan St. commonly backs up during rush hour, while Main St. and Market St. are commonly clear. This leaves intersections unused while Morgan St. drivers are waiting. Morgan St. Eastbound at Market St. is especially bad, and causes intersection blockage at the Main St. intersection. Morgan St. Westbound at Main St. is also bad. Same is true at Bob Steele St intersection. Timing of light no longer applies since the Travelers Square access has been closed. I work in 750 Main and from my window can see the street light post swaying a foot in either direction. There are not strong winds at the moment causing this, and none of the other street lights are swaying. This post needs to be stabilized. The street light is located on the sidewalk next to our building, ArtSpace Hartford.